Rob Howland’s Influent is by far the most engaging language learning tool, with great interaction and visual presentation. Knowing more than one language is a passion almost everyone shares, but with so little time to spare from our everyday lives, turning this passion into reality has never been easy. Rob Howland’s Influent does something extraordinary: make learning not just one, but words from ten different languages the simplest of tasks. Sadly, Influent isn’t designed to allow users to learn a language in its entirety, but to master hundreds of words instead. It’s an interactive language building game-come-dictionary that allows exploring and mastering different languages, something that anyone will likely to enjoy. The primary object of the game is to to explore different environments and collect words. These settings are everyday locations from an apartment, the player’s task to find and add items and master these words that identify these items. These items are recognized by words used in a language of your choosing, in both text and audio. Words discovered are all stored in a catalog to study during the game for later reference. 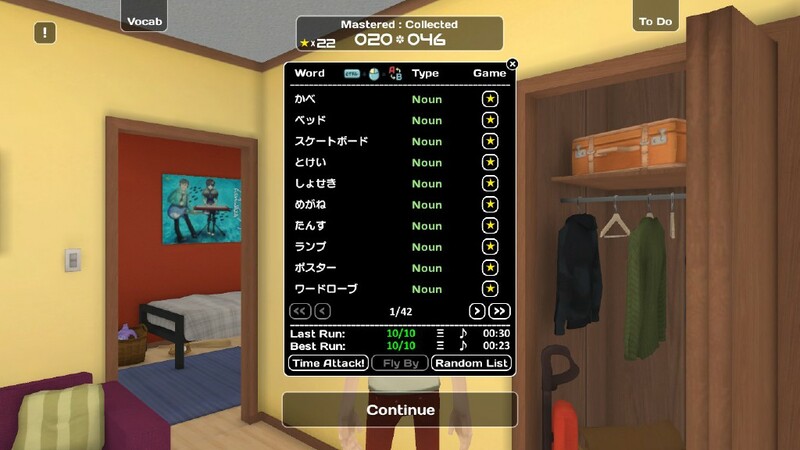 In Influent, players spend the entire time in an apartment, and collect words from these rooms in the form of nouns. The game has almost all the items such as Book, Printer, Wardrobe, Juice, Poster, and Towel etc, that we usually have in our apartments. The Mechanism of the game is very simple that allows players to move around using the WASD keys and interact with any object by clicking the mouse button. The words that you find can either be added to the learning catalog or skipped, and for each language you can add up to five hundred words to the given catalog. The best way to test the skill levels of these collected words is through the Time Attack mode. During Time Attack, players choose any page they desire from their catalog, each page containing ten words. Then the game throws words at the player so that he may identify them. Items that weren’t identified correctly can be checked later after the test. Except for the time limit, players have no restrictions running the test over and over again to get better at. Each word needs to be tested mastered at least three times to gain a star. More stars unlock more words. Once fifty words are mastered, Fly By mode is another way to test your skills, providing a more traditional game-like feel. 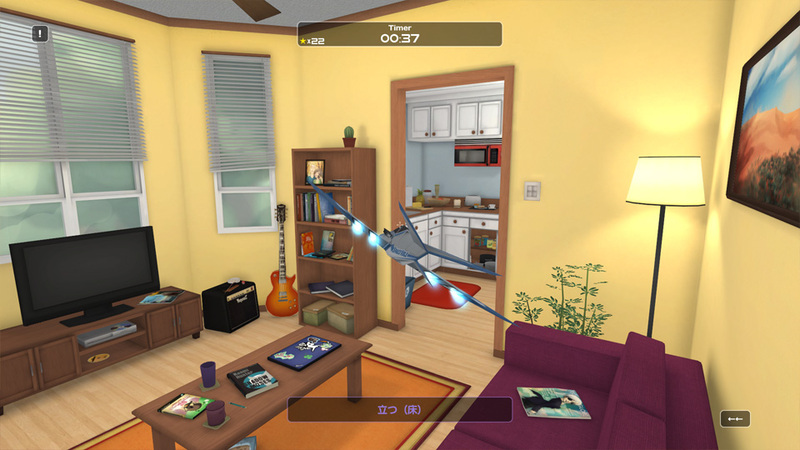 Players fly a get inside the apartment and shoot items that are asked to find. It’s a great way to break the monotony, but flying that jet can be a little annoying given it crashes too often. To shoot an object, the jet must get really close to its range and once an item is shot down, there is hardly enough room to turn around forcing an inevitable crash. This, however, isn’t a bother at all, as the object of the game isn’t to fly the jet but to learn more words. Both the Time Attack and Fly By tests are fairly flexible, allowing players to run them in text or audio modes, or both combined. Depending on a player’s preference whether to develop reading or listening skills, these modes can be set by default from the beginning. As a dictionary, Influent has its shortcomings. The game provides an ample amount of words to master, but in case of providing their meanings, these aren’t always sufficient and clear. For instance, each word provides a window that shows its text and audio versions, along with its verbs and adjectives if unlocked. In French, words such as door come with two verbs, which are ouvertand proche, and the window that provides their meanings both indicate to open, whereas ouvert means open, and proche means close. This could be one of the few minor issues, but someone new to the French language would definitely learn the word ‘open’ wrong. However, players won’t be bothered much with such issues as the graphical presentation of the game gives a clear idea about the items. So even if they don’t understand a meaning clearly, they should be able to identify by looking at it. Influent can easy surpass any other language building game in this regard. Items are easily locatable, and as players spend a lot of time in the apartment, identifying and learning the words becomes easy. This graphically animated method for helping players to visualize and remember items by different names does its job remarkably. On a side note, an option to be able to print the catalog would make it easier to memorize the words. While outside traveling by train or bus, these printed catalogs could surely accelerate the learning. If not directly from the game, user customized purchasable catalogs from the official website could also get the job done. The To Do List is another feature that can keep players going for more. The list features a bunch of objectives that are more difficult to accomplish, such as mastering 200 words, learning 50 verbs/adjectives etc. Besides completing the list, sentence building could be the feature that makes this game more captivating. With that, the game would obviously get better at helping players to learn not just words but basics of the given language. It’s understandable that the purpose of the game is to familiarize its users to a large set of words, which definitely helps in the long run when learning a practiced language. 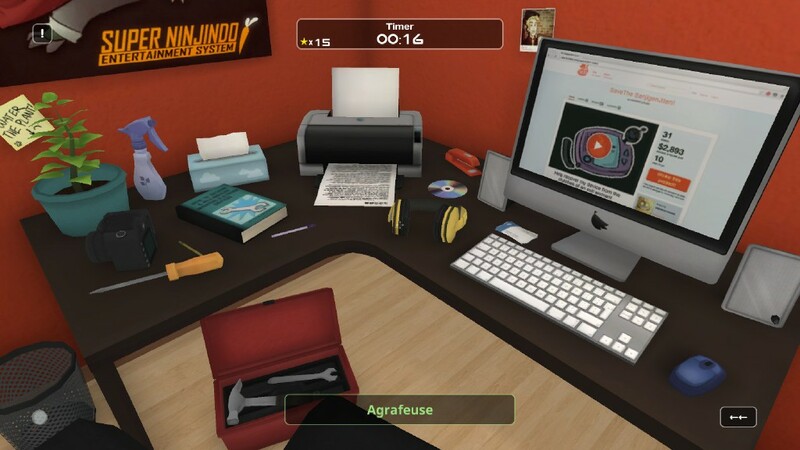 In the end, Influent is not just a game, but an idea that can be enlarged upon for more and more language learning applications. It is by far the most appealing language learning tool, with great interaction and presentation. Anyone learning a second language can easily depend on this game to increase their vocabulary. For such anexperience, $9.99 is a very small price to pay. And for those who have already played it, a sequel for sentence building will is definitely on their wish lists.